The mileage of the camera – this term has no "official" definition, but it means the number of frames, which is made on the camera. The most wear a resource on a good camerais the shutter, it will spoil fastest. Professional cameras have the resource more Amateur less. 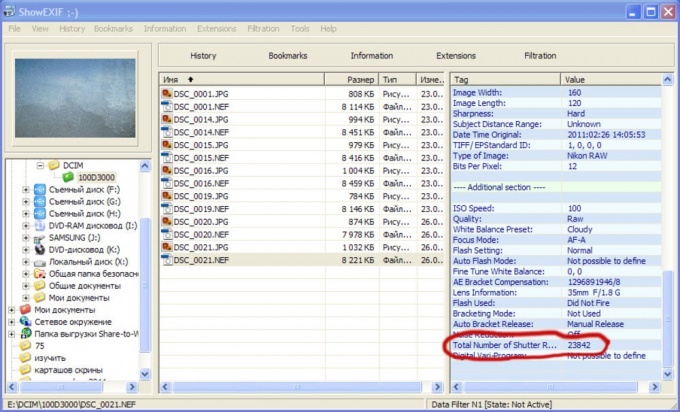 Information on the number of frames are captured in the meta-file that can be viewed using special programs, but not always. The Nikon and Pentax all information about how many times the camera clicked the shutter, is stored in a special exif file. To view it, it is sufficient to find a program that can read such files and to decrypt them. It is not difficult, suitable, for example, Opanda EXIF or ShowExif, there are other applications. They are all small and simple. The program will need to open the image that was shot on the camera last. In the properties displayed by the app, will the parameter "Total Number of Shutter Releases", in front of which is indicated the numeric value is the mileage of the camera. Manufacturers Canon have not decided exactly whether they support the exif format, so about some cameras you can find out the whole story with the meta-files, and some not. If the camera whose mileage you are interested in does not have the capability to know the number of shots, you have two options. First – inspect the camera. Most likely, if it was actively used, on appearance it will be noticeable. Or you can give the camera to the service center, there will be able to determine the age of the camera, this method is more reliable and more accurate. If we are talking about the Olympus camera, in this case, the approach is quite tricky. If you do not know, never it is impossible to guess how verified have camera run. You will need to make several steps. First turn on the camera. Then open the card cover memory. Then simultaneously press two buttons, first "play" (in some models 'menu'), the second "ok". Then take turns to press buttons up, down, left, right. Press the shutter button, and then up again. This procedure will allow you to learn about how many pictures she clicked off the camera. If the professional camera, the normal mileage is about 150 thousand personnel. For Amateur cameras limit – about 50 thousand photos. If you buy a used camera, it is also important to know what conditions were made for photos. If filmed mostly in the Studio, and the lifetime of the shutter is much more. Intuitively, the mileage is the degree of deterioration of the camera. Cars it is measured in kilometers. The cameras – the number of shutter clicks. Shutter any camera has its own resources and will eventually wear out. Cameras have easier mileage less than professional. How to know the mileage on your camera? Consider the case of two fotoseventos: Nikon and Canon. All meta-data about images stored in encrypted form. To view them, just by looking in the document properties, it is impossible. You will have to use special software. And for each manufacturer's cameras to look for its program. Let's start with Nikon. To view meta-data, you can use the program ShowExif. It weighs less than 1Mb and requires no installation, what is very convenient. Just run the program. In the left window, specify the path to the folder with the latest photos. In the middle - will appear in the photos themselves. Select the last one. In the right window will show all the meta data about the picture. Among them, almost at the end look for the line "Total Number of Shutter Releases". The figure in this row is the number of the last shutter. If it says 50, it means your mileage is 50 frames. If written 23824, then the shutter of your camera clicked just enough time. As for Canon, everything is complicated. Most people recommend with cameras of this brand to contact the service center. They argue that the only way you can determine the mileage of the camera. However, there is a chance to learn meta-data and samostoyatelno using the program EOS Info. The program's interface is almost the same as ShowExif. However, it should be borne in mind that the program can read data only on certain Canon cameras. There is also a chance to get meta-data through ShowExif. Sometimes it works. Apparently, it is difficult to come to a specific conclusion. And you better do with the camera to go to service center and get accurate data on mileage of your camera. 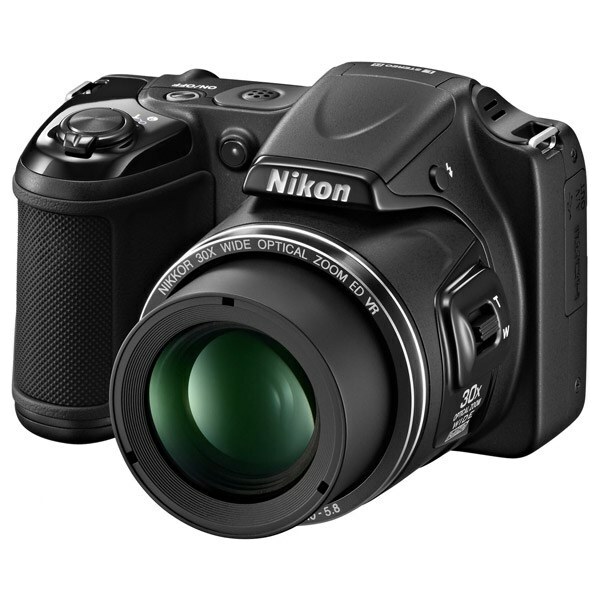 Usually when buying a digital b/u camera Nikon a potential buyer interested in his mileage, because this figure better than any other "describes" the technical characteristics of the device, and in particular, how many actuations the shutter of the camera is guaranteed. Not to be deceived, you need to know how to run Nikon. 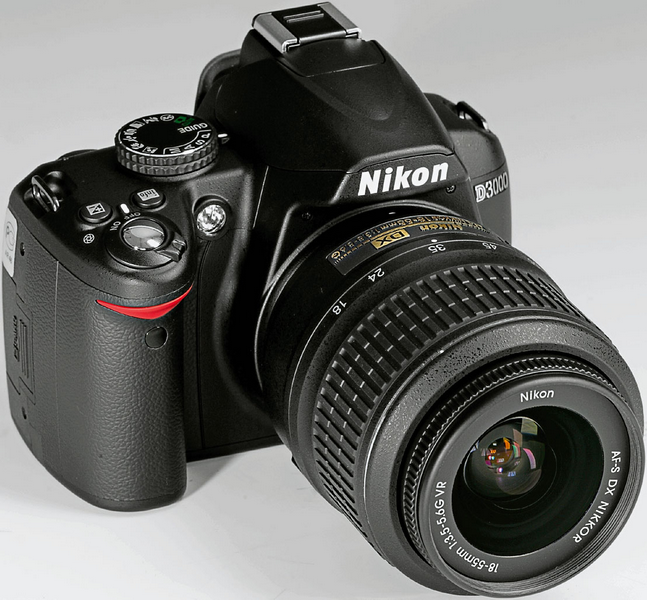 Nikon digital camera, a personal computer with access to the global network. Download online program ShowExif. The usability of this software is that the system utility tool weighs less than a megabyte, due to the injection ShowExif a lot of time you will not take. However, for using this program it is not necessary to install on the computer: just download the package system utilities. Connect the camera to a personal computer and throw back your footage on your PC's hard disk. Run the program ShowExif and appeared on the screen window in the left part specify the directory to the folder with the transferred photographs. Appeared in the middle of the screen a tab with photos, select the most recent photo that was made by Nikon. Move the eyes to the right window, which presents all information about the photo. In the list of characteristics look for "Total Number of Shutter Releases". This indicator indicates the mileage of the camera. Make no mistake with the definition of the indicator of run/used a Nikon camera! Knowing this figure, you will be able to significantly bring down the cost of used equipment. 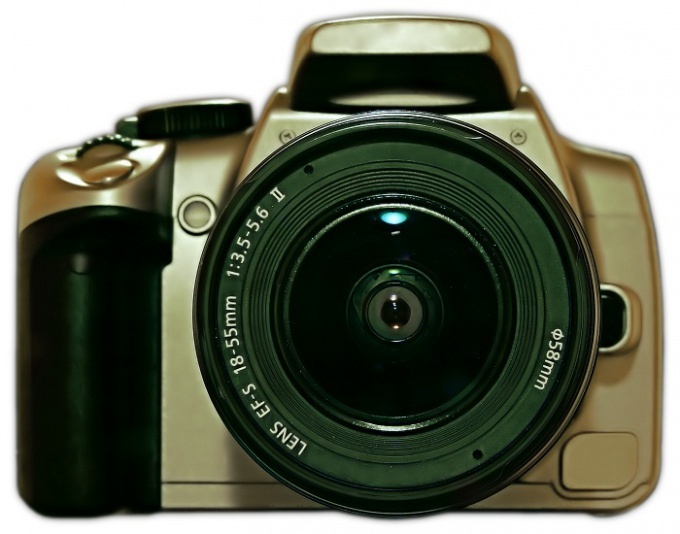 In most cases, manufacturers of digital cameras point only guaranteed mileage potential. In other words, they guarantee that the shutter of this camera model to work a certain number of times. But declared indices run only in professional cameras where the shutter counter exceeds a hundred thousand times. As for Amateur models of digital cameras, their mileage, as a rule, is not declared. However, it is assumed that the number of actuations of the valves from Amateur models of cameras varies from thirty to fifty thousand times. Each technique has its mileage, for example, wear of the motor vehicle is calculated by the number of wound kilometers. 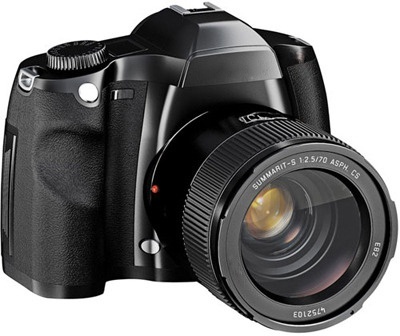 The camera also have mileagethat can be expressed in the number of captured frames (shutter clicks). If you know this value, it is easy to determine the deterioration of the device. When you press the shutter button the camera are multiple processes that use the internal stuffing of the device (electronic circuit). One of them is writing data to a file of any format. Data name, which are included in the description of the file exceeds a few tens of parameters: manufacturer, camera model, orientation, date, pixel count, white balance, version of the image, tilt the flash, etc. Among all these options, you can find the number of captured still images. With the help of a program ShowExif you can not only find a particular value, but also to edit any of the above parameters, and many others. Information about the graphics file format is called metadata. Metadata is encoded information. The program ShowExif is a free product and it takes up about 1 MB, so you will not be difficult to download it from the Internet. It does not require installation and is started by double-clicking the left mouse button on the icon of the camera. After it starts, specify the path to the directory with the photos captured in the test chamber. In the download list, select any image and select it. In the right part of the window will be a multi-level table with data about photos. Look for Total Number of Shutter Releases is the value of this parameter is the desired size (number of recorded images). If you use as a viewer for graphic files on your computer the program ACDSee, the number of shots you can learn in a different way. Open any image captured with your camera and press Ctrl + Enter. The value can be found in the Total row Number. Sometimes sellers cameras artificially reset the values of internal counters – this makes for a more profitable sales techniques. Also, this value may not correspond to valid data, if the camera shutter has ever been replaced by a new one. 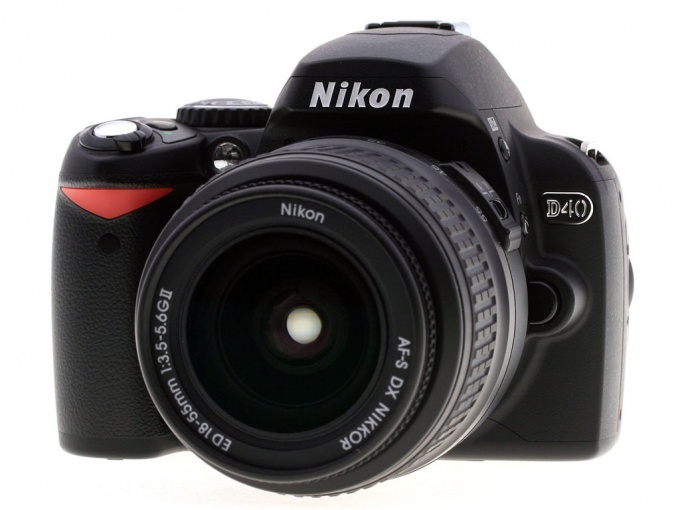 Nikon is one of the most respected and trusted companies on the market of photography. But even buying branded camera will not protect you from factory defects if you don't check it upon receipt. The first thing to look for when buying a new camera - whether there is evidence of its use. On the plastic parts and the lens should not have any scratches, scuffs and chips, the screws should not be traces of a screwdriver or deformed parts. The next check is the number of captured still images. Even if the camera is in perfect condition, it might be time to shoot a few hundred frames and then give it back before the expiration of provisions of law of two weeks. Make a few frames and view the file names are numbers which are displayed indicate the sequence number of the captured images. The following tests will check the focus SLR camera. If you buy a regular small camera with automatic modes, you can skip this step. In the photography shop staff provide special printout lined up with the marks in millimeters. Set the maximum aperture opening (they depend on your lens, it will be the small number, e.g., 1.6, 2.8, 4) and hover the mouse pointer over the center line, next to it is a proper title. After shooting to check that all the labels above and below the Central strips were read and eroded evenly. If such printouts, use a regular ruler and a white sheet of paper, making themselves desired mark as a line of focus. To check for dead white pixels (these are sections of a matrix camera, which mechanically injured and did not participate in creating the image, so the display is always black or always white), close the camera lens cover, set the shutter speed to about 1/80 and ISO 100. Take a picture. It will turn completely black but a hundred percent increase in picture allows you to see all the defects of the matrix. To check for the black pixels you'll need to do the same thing, only on a white sheet of paper. Take the camera in hand, will appreciate how comfortably it fits in your palm, and gently shake it - not loose in the battery (which means either poor fixation or substitution of the battery in some other, inappropriate size). By the way, the battery also needs to be checked - it must not be deformed or swollen. With batteries for Nikon cameras there is one caveat. The manufacturer has officially recognized the existence of marriage in some of the series of batteries, leading to their explosion - this means that a battery at any time can cause irreparable damage to your camera. Please check the type and series battery. If the battery type is specified as EN-EL15, then the ninth place of the serial number can stand E or F, it will mean just defective batch. In this case, replace the battery.